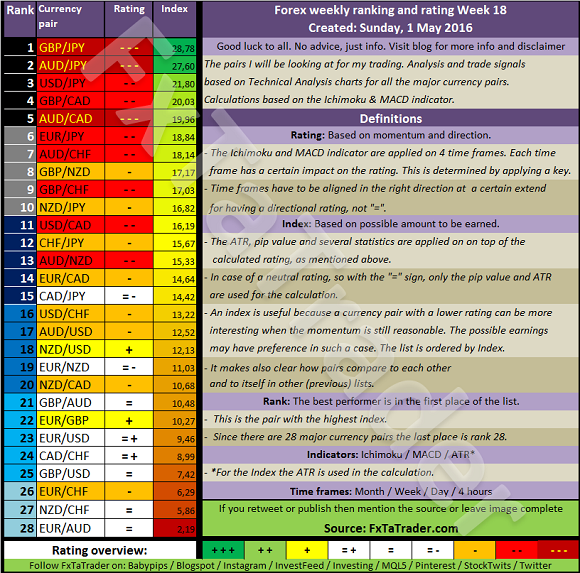 When looking at the Top 10 in the Weekly Ranking and Rating list we can see that for the coming week the following stronger currencies are well represented for going long: JPY(5X) followed by the CAD(2X) with the CHF(2X). 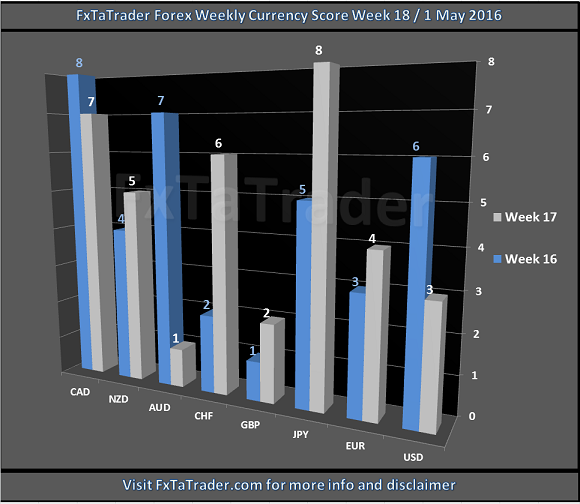 The weaker currencies are the GBP(4X) followed by the AUD(3X). When comparing the 3 months Currency Classification with the pairs mentioned in the Ranking List above some would then become less interesting. On the other hand these pairs are at the top of the list partly also because of their volatility. It seems best to take postitions for a short period then and take advantage of the high price movements.